Rumba Sparkle is the same type of ribbon which opens up to make the lovely frilly scarf but it has a fine gold lurex thread running through. 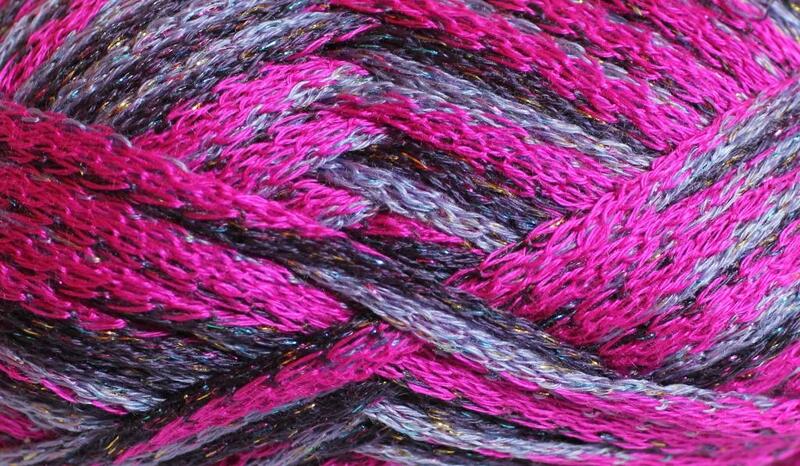 It is soft like the Rumba – the lurex doesn’t have the same ‘scratch’ that you get with some yarns. It comes in 8 amazing colours from subtle cream and gold to vibrant purple and with fushia pink! I’ve also added some instructions on How to Knit a Rumba Scarf!